I finally received a copy of The Hour of Dreams by Shelena Shorts two days ago. It was very hard to find a store to order it for me in Holland. Unfortunately, I haven’t had the time to finish it in one go because I have much stuff I have to do for school… But it was worth the wait, I even think it made the story even better. 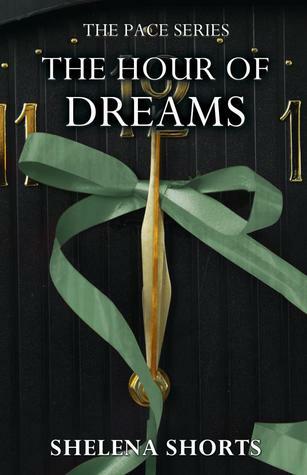 The Hour of Dreams is the final book in the awesome Pace series by the even more awesome writer Shelena Shorts, who is – if you haven’t noticed it yet LOL – my favourite author. I’m sad it is the last book in the series, I have become almost attached to Wes & Sophie. Especially Wes of course – O, what do I do without him? There is something to look forward to people: Shelena promised to bring more awesome guys to our world. As she said to keep the standard high for the boys 🙂 And as you could have read on another post on my blog, it is possible Shelena will write a Wes & Sophie spin-off one day. *fingers crossed* – And don’t forget, maybe there’ll be more Vasi: there also is a possibility that there will be more books to The Syndicate. We’ll just have to wait and see. About The Hour of Dreams. I’d say wow. Awesome. Amazing. No words for it. From the first chapter, Shelena already dragged me into the story. I have to say you have to read the three books prior to this one to completely understand the story – and this summary :). Sophie has been having more nosebleeds and she is worrying about her health. She keeps it secret from Wes, not wanting to worry him more than he already is. Since he has had a dream about him and Sophie being old together (book: The Iron Quill) he is trying to figure out how he can transform back into a full human. Sophie doesn’t want him to risk his life, but Wes is seeking out the possibilities. So there is some tension there. And when Wes discovers Sophie is having nosebleeds, he goes into full panick mode. After the lab has run some tests on Sophie, they discover she is having side-effects from the trial medicine she took to cure her HIV. She is being treated for the side effects and is feeling a little better, but soon enough the tension is back. Wes and Sophie are both having more dreams about a former life, and they think those dreams are memories. A life before Amelia and Lenny. Something further back in their past. And in that life, they see themselves growing old together. Except from their own problems, there are other things I did not expect in the first chapters of this book. Dawn is pregnant! Dawn! And she and Jackson broke up over it. Sophie tries to help her make a right decision and tells her about her illness in the progress, to make her see how precious time can be, and this baby is a gift. But Dawn thinks she isn’t ready to have a baby. What will she do? Sophie is getting sicker from the side-effect and one day Wes finds her passed out on the floor. Tests show Sophie’s immune system is attacking itself. Wes want’s to rescue her and know’s there are anti-bodies in his blood that might just save her. He gives her his blood, but is undergoing a transfusion himself – a transfusion with the goal of making him human again. Sophie is furious when she wakes up, why did he do it, and more importantly, will he survive it? Wes does wake up, I can tell you that, but he is not the same. He has lost all the memories from his life after he got the transfusion that made him immortal. Sophie is devastated. Will their life ever be the same again? I totally loved the story, and I was sucked into it from page one. Great job Shelena! But I have to say I’m not sure the end of the book was so great. I mean, it was a great ending, but I’m not sure it was at the right moment. Everything happened so fast. But I think that could be because I did not want the book to end 🙂 . An awesome conclusion to an awesome series from an even more awesome author. Thank you Shelena for sharing Wes & Sophie’s story with the world. I hope you’ll once be as well know as you deserve – you (& your books!) rock! I think it won’t come as a surprise after reading this review when I give this book the full five stars – two thumbs up!